Prince Henrys Grammar School to the Rescue! This weekend we had students from Prince Henrys Grammar School in Otley staying at Bewerley Park. During a Ghyll Scramble one group found this little tawny owl tangled in a fence. It was obviously not going to survive on its own as the weather was really cold and wet. The group didn’t hesitate and decided that they must get the owl to safety and so the Ghyll Scramble was called off and the newest member of the group was wrapped in two fleece hats from the emergency bag. The group took it in turns to carefully carry the owl off the hill side and stopped in at Studfold Campsite on the way back to the bus where they acquired a small cardboard box to further insulate there little teammate. 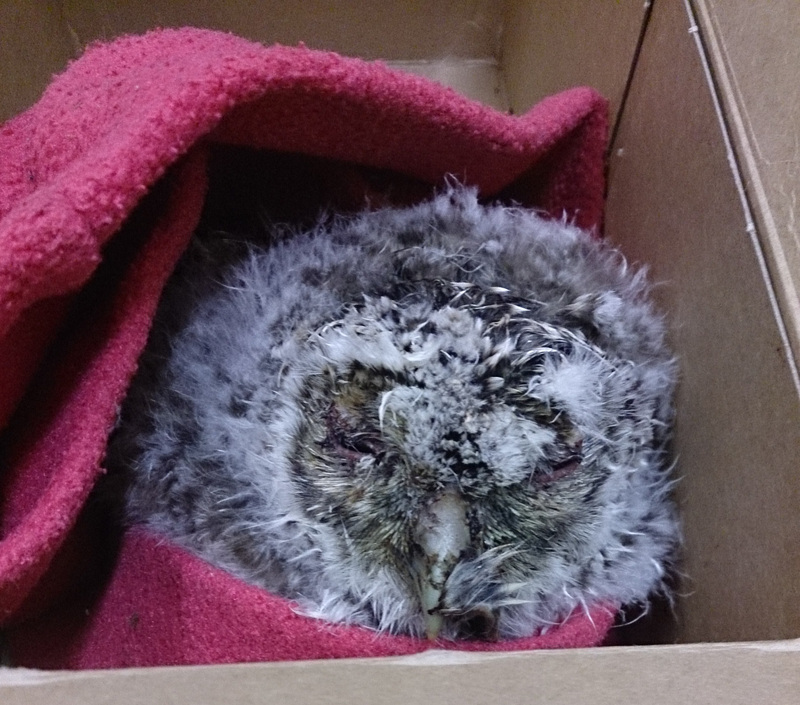 Upon return to the centre we contacted Krista at The Wildlife Haven who made arrangements to come and collect the owl and look after it at their rescue facility in Thirsk. He has now been named Twist (due to the circumstances of his rescue) and is known to be doing well along with the 7 other Tawnys who the Wildlife Haven have taken in. If you find an injured wild animal then give Krista a call for help and advice. Well done Prince Henrys Grammar School and big thanks to The Wildlife Haven!